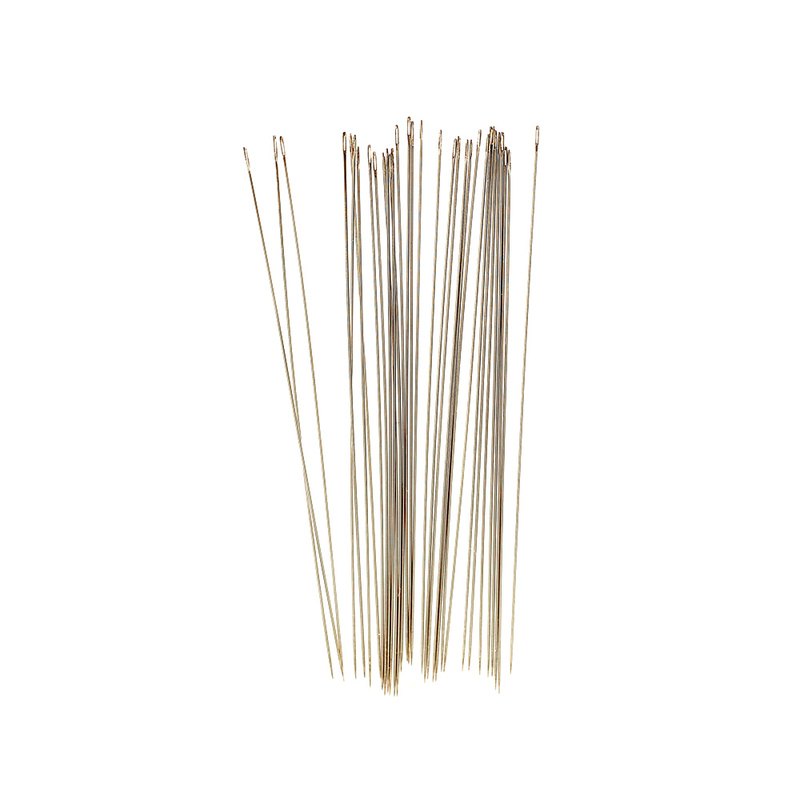 Long Beading needles are available in size 12 and, as the name suggests, they are an extra long beading needle. This needle is a fine beading needle, having a diameter of 0.36mm and a length of 76mm and is 25mm longer than it's counterpart from the standard range. These needles are packed 1,000 pieces per parcel.